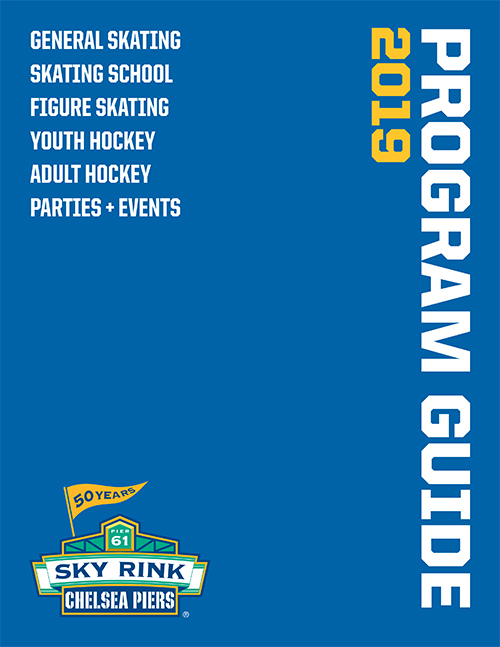 Sky Rink features an extensive ice hockey program, including youth and adult ice hockey leagues, lunch-time hockey for adults, summer and holiday camps and the Top Shelf Hockey Training Center. With more teams, training tools and top professional coaches than any other location, Sky Rink is the home of ice hockey in NY. Players ages 3 – 16 build and sharpen their skills at our summer and holiday break camps. In-house leagues, competitive travel teams, developmental programs and private training. 11 divisions and over 100 teams compete year-round. Open Hockey is available year-round on weekdays for players 18 years of age or older. Coaches are available for private and semi-private lessons for beginner and lower-level skaters. A state-of-the-art training space designed for competitive youth (ages 6+) and adult hockey players.